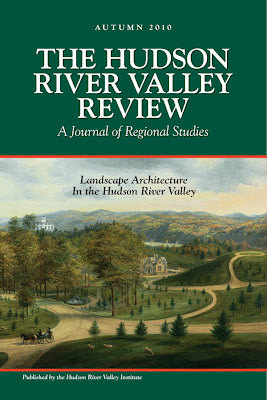 In my last post I discussed the variety of topics and writers represented in the The Hudson River Valley Review, but the issue I am most proud of is Autumn 2010 [pdf], dedicated to exploring our region’s role and legacy of Landscape Architecture. 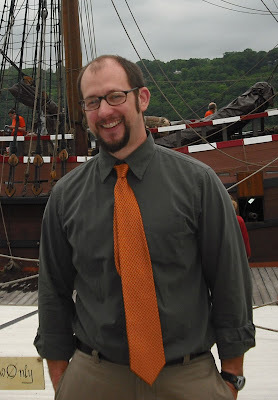 Included in the issue is an introduction to Andrew Jackson Downing (arguably its most influential figure in of regional and national import), an exploration of the creation of the Mohonk Mountain House and its network of carriage roads, the original call for the creation of an Appalachian Trail, Thomas Cole’s creation of his estate Cedar Grove, and a photo essay presenting Bannerman’s Castle. I agree with Samuel Morse that Landscape Architecture is one of the fine arts,and one that embraces a fourth dimension – the role of time on composition. The best examples of this art allow both practitioners and participants, anyone who visits these preserved landscapes with sensitivity to the environment, to fully experience the immediate world around them as well as its past and future. The lush greens of spring become vibrant yellows, oranges, and reds by the fall,and what began as a spindly pine no taller than a child may one day cast a shadow fifty feet long. It is my sincere hope that this issue might introduce more people to this dynamic art and interaction. 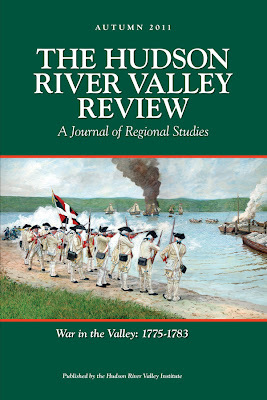 Another example of the diversity of voices and concerns represented in the The Hudson River Valley Review comes from our Spring 2011 issue [pdf]. 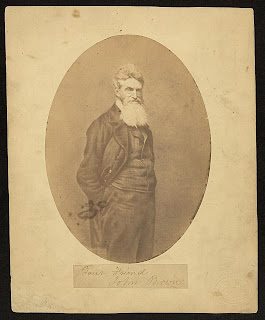 Dedicated to the Sesquicentennial of the Civil War, there is an overview by the guest-editor that addresses where certain regiments were raised throughout the region, but the other articles examine such diverse aspects as painter Frederic Church’s reaction to the war, the unknown political and personal battle that surrounded the creation and placement of the General Sheridan statue that now sits near the New York State capitol, the pageantry and preservation of regimental battle flags, and the correspondence of an otherwise forgotten woman from Columbia County. The Review has presented an astonishingly diverse collection of authors and topics over the past twenty-eight years, I invite you to explore its past and contribute to its future. We are always eager to consider new articles and authors addressing our regional interests and grateful to receive new subscriptions. Feel free to contact us with questions at hrvi@marist.edu.